Sage is one of the popular herbs in North American and European cuisines and is commonly used fresh or dried. Which you choose depends on what you are cooking and your priorities. To make the decision, you will have to consider factors such as: will your dish take a long time to cook? Is it fatty? We will take a look at what sets these two forms of sage apart in the SPICEography Showdown below. How does fresh sage differ from dried sage? Even though fresh and dried sage are just two forms of the same herb, you will use each differently because of their respective characteristics. Sage is one of those herbs that retains much of its flavor even when dried; however, the fresh version will have a brighter version of sage’s citrus and pine flavor that is similar to a combination of rosemary and lemon zest. 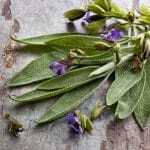 While fresh sage is typically sold as whole leaves, note that there are two forms of dried sage: rubbed and powdered. The rubbed form is exactly what the name implies, sage leaves that have been rubbed until they break down to coarse flakes. Powdered sage is finer and loses its flavor quickly though it will retain that flavor if you use it immediately after grinding it. The drying process also affects the flavor of sage in that the fresh form is less bitter. Drying concentrates the flavor and can make the herb slightly bitter. 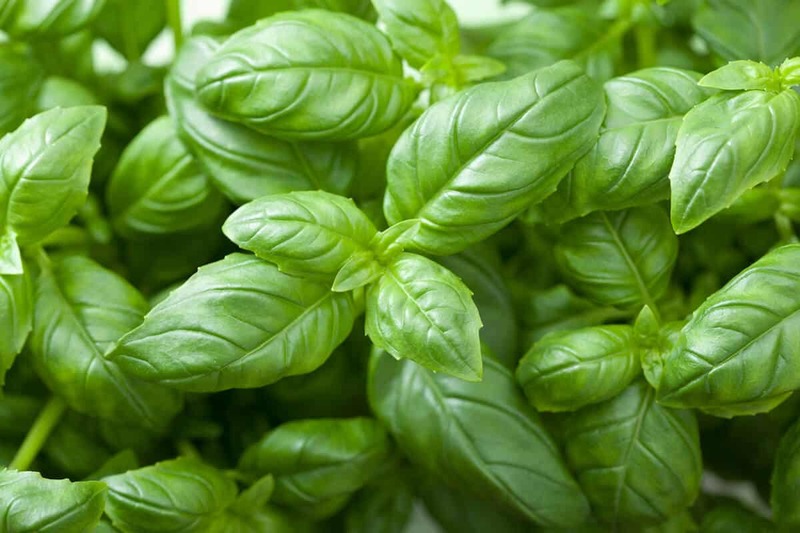 As with any fresh herb that is compared to a dried herb, the shelf life differs considerably. If you store it properly by refrigerating it, fresh sage can keep for a week; dried sage can last longer than six months in an airtight container and when kept away from light. Fresh and dried sage are great substitutes for each other as long as you are mindful of the differences in flavor strength. 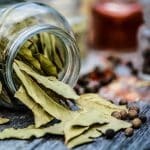 If your recipe calls for whole leaves, keep in mind that it takes about seven of them to equal two teaspoons of rubbed or one teaspoon of powdered dried sage. You should also add the fresh leaves later in a long cooking time since their flavor can fade. Dried sage should be added earlier to allow the flavor to mellow out since it is more pungent. When should you use fresh sage and when should you use dried sage? One of the traditional uses for sage is in Italian cooking where it is used with butter in sauces for pasta like gnocchi and with potatoes. For this type of dish, you will want to use fresh sage. The best method is to mince the leaves before adding them to the food. In a pinch, you can opt for rubbed sage but cooks generally recommend that you avoid the powdered stuff for Italian dishes. Sage is also used in the UK and the US for cooking poultry, including the Thanksgiving turkey. 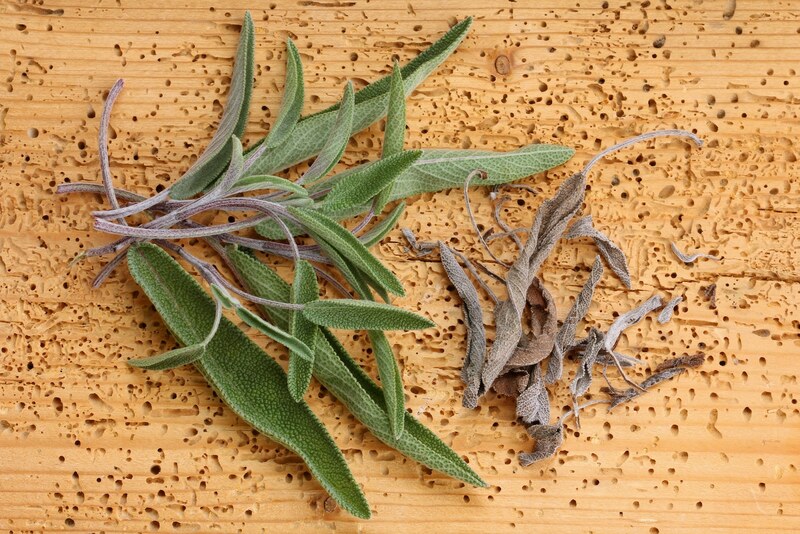 For those preparations as well as others that feature duck or goose, you will be fine using dried sage. When using fresh sage, stuff the leaves into the bird’s cavity before cooking. Another traditional application is in fatty meats like pork. It has long been a staple for pork sausages.